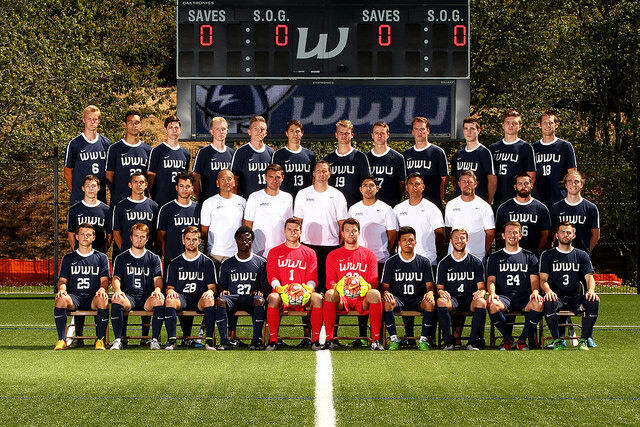 The WWU Men’s Soccer team strives to create the best possible experience for its student-athletes. Battling to compete in one of the largest geographic and competitive conferences in NCAA Division II year after year, the program fights to provide the best facilities, equipment and travel experience for each student-athlete. Your gift helps provide essential team room upgrades, gear for Harrington field and a home away from home experience while we are on the road. As a program, we are looking to raise $10,000 to enhance our operational budget to elevate the experience that each student-athlete receives and make it possible to return to the NCAA Division II National tournament next season. To keep updated on future events, current players, and the team, please be sure to like us on Facebook and follow us on Twitter. Your gift will provide us the ability to purchase top video-editing software enabling players on and off the field to become students of the game. Your gift will enable us to start providing pre-game and post-game meals at home for our athletes. Your gift will enhance our player's training environment and ability to purchase essential equipment for the field such as training goals, soccer balls, and practice jerseys. Your gift will elevate our team travel to hopefully fly directly from Bellingham, provide team charter buses on the road, and healthy meal options for our athletes.